One of the best places to visit in South America and the entire world is Machu Pichu. To visit Machu Picchu, one of the new 7 Wonders of the World, you can either take a quick train ride or hike for several days. If you have the time, I highly encourage you to hike! There are plenty of beautiful treks in Peru and most of them are to Machu Picchu, including the Choquequirao trek, Salkantay trek, Inca Jungle trek and more. Of course, hiking the Inca trail to Machu Picchu is the classic and most popular trek that everyone, including us, hikes. It is without a doubt, a once in a lifetime trip that we will never forget. However, it was not an easy one. A lot of planning and preparation has to go into hiking the Inca trail to Machu Picchu, from training to a proper packing list, the weather, booking the Inca trail and more. With that said, after first hand experience, we have created a complete guide to help the next adventurers fulfill their dream of hiking the classic 4 day Inca trail. How Long is the Inca Trail Distance? The Inca trail distance is approximately 43km (26 miles) and is hiked during the course of four days. Do not let the long Inca trail distance intimidate you because the tour guides always look after you and set the pace of going slow and steady. Each day hiking the Inca trail is different. Depending on the tour company, you may be hiking 11km (6 miles) on the first day, 15km (9 miles) on the second, 10km (6 miles) on the third and only 7km (4 miles) on the final day. So even though the Inca trail distance is long, it is easily manageable to complete in these four increments. Visiting Machu Picchu, one of the New Seven Wonders of the World, is on almost everyone’s bucket list, but hiking the classic Inca trail to Machu Picchu is a once in a lifetime experience. With that being said, booking the Inca trail is very important because the Peruvian government has placed proper regulations. Only 2,500 visitors are allowed per day to Machu Picchu and even less are allowed to hike the Inca trail. A small amount of 500 people are permitted to hike the famous Inca trail per day. Of these 500 includes not only the trekkers but also the cooks, porters, and guides! So booking the Inca trail to obtain your permit is vital! It is said that the best time to hike the Inca trail is during the months of May, June, July, and August. Permits for these months typically become available at the beginning of October. (Please note, you MUST book your permit to hike the Inca trail through an officially licensed tour company). On June 24th, Cusco celebrates their anniversary and Inti Raymi with a festival. A week or two leading to this day, Cusco holds parades where young children and adults perform dance routines. It’s an amazing time to be in Cusco and enjoy their culture and traditions. You are less likely to experience rain because June is their driest month of the year. However, as global warming continues, the wet season for Cusco and Machu Picchu has been longer every year. We hiked on June 14th and we were told just days before we arrived, it had rained every day for those hiking the Inca trail. The weather on the Inca trail is almost unpredictable, as we briefly stated above. It could rain on you or it could not – you never know. However, if you are booking the Inca trail during June – August then you have a pretty good chance of mostly clear skies. The basic knowledge for hikers to know about the weather on the Inca trail is cold mornings, hot afternoons and cold nights. During our hike in June, we experienced cold mornings and nights with low temperatures in the 30s (F). In the afternoon it would get as high as 60°F depending on the altitude. Every morning we would start our hike shivering and trying to keep our hands from freezing, but as we continued our day, the weather on the Inca trail would slowly rise. Some trekkers would start taking jackets off after only 30 minutes, whereas we would keep our jackets on for a few more hours. The weather on the Inca trail would still be cold, but as your body warms up, you do not need as many layers. The weather on the Inca trail changes drastically day by day. The only thing that remains the same is the mornings and nights are always freezing. The first day is hot until you arrive at the campsite. During the second day of hiking (Dead Women’s Pass), it was cold when we were hiking up and it was warm when we were going down. Scarves, gloves and hats are highly recommended to have with you at all times because if you stop to catch your breath for more than just a few minutes your body will get cold again. The third day is warmer and the last day is cold because you start hiking at 3am. There are over 180 licensed tour companies for the Inca trail hike. That makes finding the most suitable tour company for you extremely hard, it’s like finding a needle in a haystack. So here are a few things to consider when choosing the right tour company. Cost – your budget is of course very important, but for a trip like this, we advise you to choose a company wisely. The average cost of hiking the Inca trail is between $500 – $650 per person (costs keep increasing with every year). For prices above $650 expect more luxury services. We say to choose a company wisely because this is an intense trip and we do not recommend cutting corners on price. What is included? – compare tour companies with their price and what is included in it. Some tours may offer complimentary sleeping mattresses, hotel and/or airport pick up while others may not. Do they treat the porters well? – this one is sometimes more difficult to find, but we learned that some companies make their hard-working porters eat cheaper food than what they cook for the trekkers. More so, they do not pay their porter’s fair wages. Group size – some tour companies will have group tours as large as 16 or as small as 11. We thoroughly enjoyed hiking the Inca trail and a lot of it had to do with XTreme Tourbulencia. Prior to our trip, they were very responsive and helpful so that we could be well prepared. Everything was always well organized which made the entire process easy and stress-free. If you are looking for a tour company, we highly recommend booking the Inca trail with XTreme Tourbulencia. And for several reasons. Booking the Inca trail should not break your wallet. We found a lot of tour companies to be overpriced, whereas XTreme Tourbulenica offers a budget-friendly price. The price for hiking the classic 4 day Inca trail costs only $520 (2018). We truly do not believe you will find a better price elsewhere for the same excellent service that XTreme Tourbulenica provides. XTreme Tourbulencia provides clients with complimentary round trip transportation from the airport or bus/train station. From the moment we landed in Cusco till the moment we left, we were able to always count on them for transportation. XTreme Tourbulencia provides excellent customer service. As stated, prior to our trip we received responsive emails to every question we had. Then when we arrived to Cusco, they dropped off the duffel bags (for our porters) at our hotel, so that we could pack them the night before the hike. They also supplied us with pillows, sleeping bags ($20) and trekking poles ($8). Then we were able to store our luggage at their office while we were hiking the Inca trail. When we finished hiking the trail they had already delivered our bags to our new hotel. They truly made everything as easy as possible for us. We enjoy small group tours so that we can build better and closer relationships with our guide and companions. So when we learned that XTreme Tourbulencia hiking groups are no more than 11 people, we were very excited. Our group ended up being only five people – us, Christina’s sister (our editor) and two Denmark girls. When we came across other groups of 16 people we were so thankful we booked with XTreme Tourbulencia. We loved our small group! During our hike, we learned that the porters (who work extremely hard) are well compensated and are paid a fair wage for their services. In addition, the guides and porters are never overworked and can have a flexible schedule to spend time with their families. Every time we made it to our campsite, our tents were set up with our sleeping mattresses inside and our duffel bags outside. The only thing we had to take care of was taking out/preparing our sleeping bag. XTreme Tourbulencia is one of the very few tour companies permitted by the government that allows the clients to have a more enjoyable hiking experience. For example, some tour companies must hike a challenging 8-9 hours on the second and third day, whereas we only had to hike for one challenging 8-9 hour (second) day. This allowed us to hike for an easier 5-6 hours on the third day, which provided us more time to relax before our last day hiking to Machu Picchu. This is an extremely important factor when you consider hiking the Inca trail with another company. We could not believe the food the cooks prepared in the most difficult cooking environments. Everything was delicious. On our last night, they even baked us a pineapple cake! This goes back to their customer service and the overall amazing experience we had with XTreme Tourbulencia. Roundtrip private transfer from the airport/train station to your hotel in Cusco and vice versa. Private transfer from your hotel in Cusco to km 82 (starting point of hiking the Inca trail). A bus going downhill from Machu Picchu to Aguas Calientes. Train from Aguas Calientes to Cusco (Poroy)/or Ollantaytambo and then bus to Cusco. Entrance fees to the Inca trail and Machu Picchu. Professional bilingual guide (Spanish and English). Professional two-person tents, sleeping mats, dining tent equipped with a table and chairs, a sanitary tent. 3 breakfasts, lunches, and dinners – pancakes, omelets, soups, fresh fruit and spaghetti, chicken, fish, meat and rice. Tea and snacks before dinner every day (tea, coffee, wantan, popcorn, cracker). Porters to carry the main luggage (all the tents, sleeping mattress, sleeping bag, and cooking equipment). First-aid kit and oxygen bottle. Ready to book the Inca trail with XTreme Tourbulenica? Then click here! Hiking the Inca trail is not an easy trek, it is quite challenging but definitely manageable for all levels. Training for the Inca trail is very important as well as packing the correct gear. All three of us trained differently for the Inca trail, but at the same time had similarities. The end result was the same, we all made it to Machu Picchu in one piece. Training for the Inca trail should consist of mostly cardio, some weight lifting and mind over matter. The best form of cardio will be walking up staircases or if you have a gym, the StairMaster. Walking uphill or at an incline on a treadmill is also good cardio training for the Inca trail. If you do weight lifting, building muscle in your legs and lower back is important. Lastly, mind over matter. Training your brain is not an easy task. You want to push yourself during your workout and when your mind is telling you that’s enough, do one more lap or one more rep. Half the battle of hiking the Inca trail is mind over matter. To view our full guide on training for the Inca trail, click here. Full disclaimer – As a participant in the Amazon Services LLC Associates Program, an affiliate advertising program designed to provide a means for sites to earn advertising fees by advertising and linking to Amazon.com. As an Amazon Associate, we earn from qualifying purchases. We want to thank everyone for following and supporting us on all of Our Sweet Adventures. Base Layers – one to two base layers of shirts and pants are recommended, especially for those who are easily cold. The base layers are most needed for sleeping during the cold nights and hiking in the morning. Quick Dry Shirts – we recommend packing at least three short sleeve shirts and one long sleeve shirt. Hiking Pants and/or Leggings – hiking pants and/or leggings are great to wear for the four-day trek. Two to three pairs will be fine. Merino Wool Socks – these are the perfect type of socks for hiking the Inca trail. They have great breathability and wicking material to keep moisture away from the foot. Definitely pack four pairs. Hiking Boots – a proper pair of hiking boots is essential. Rain Jacket – even if you hike the classic Inca trail during June through August, you may hike in the rain, so a rain jacket is needed for your packing list. Triclimate Jacket – a tri-climate jacket is perfect for hiking the Inca trail because it has several purposes in one jacket. It is also interchangeable which is great for layering. Gloves – it is always cold during the morning and night, so gloves are recommended when packing for the Inca trail. We are big fans of The North Face apex gloves. Headlamp – a headlamp is great for using at the campsites and essential for your last day on the trail. On your last day, you will be hiking in the dark for around two hours. Trekking Poles – trekking poles help a lot during the hike and can be rented in Cusco or you can always bring your own. Backpack – of course, a backpack (day back) is essential for hiking the Inca trail regardless if you have a personal porter. To view our full packing list click here. Obtaining travel medical insurance and up to date/needed vaccinations is very important for hiking the Inca trail. Speak to your primary doctor about what vaccinations you may need for your trip. In most cases, they will not give you vaccinations until a month before your departure. In our case, we were required to have up to date hepatitis A and B, typhoid, yellow fever, and tetanus. We highly recommend everyone to purchase good travel medical insurance. Anything can happen during the hike, most likely from injury or illness. In our case, we were diagnosed with an amoeba parasite, which can occur from consuming contaminated food and water. We ended up being hospitalized for two days and missed our flight home. Thankfully we had travel medical insurance, so we did not have to pay a dime and were well taken care of. We have no idea how/where we consumed contaminated food or water because it can take up to 14 days to become symptomatic. So it could have been during the hike, or it could have been from the thermal pools or restaurant in Aguas Calientes. We hope our story has convinced you to purchase the extra travel medical insurance. We were a little uncertain of what to expect prior to hiking the Inca trail. There were just so many variables we did not know. Such as, where do we leave the suitcases that we do not need to take with us on the hike? Luckily our questions were answered during our tour with XTreme Tourbulencia, but here is what you can expect prior to hiking the Inca trail. As briefly mentioned, your tour company will arrange a debriefing meeting with you a day or two before you depart for the hike. They will go over what each day will look like in terms of your campsites and how long you will hike each day. Prior to arriving in Cusco, check with your tour company to see if they provided bags for your personal porter (highly recommended). Then when you meet with your tour company make sure you go over the arrangements for your luggage – both for your porter and what you will leave behind. Typically they will give you the bags for your porter so that you can pack the night before you leave for the hike. Then you can leave your suitcases with your tour company or your hotel if you are staying in the same place. Acclimatizing to the altitude is very important. Cusco is at 3,399 meters high and it is recommended to spend at least two days here to acclimatize to the altitude. To avoid altitude sickness we took prescribed pills from our doctor, drank coca leaves tea and stayed hydrated. It is important to take it easy on your first day and then take a day trip to the Sacred Valley. We knew how to train for the hike, we knew what to pack, but we were completely clueless on what to actually expect during the hike, except for it was going to be challenging. There is a lot to expect when hiking the Inca trail. It is not just hiking for four days. There are camping, dining, Inca ruins, figuring out how to use the bathroom and more. Our pictures do not do justice of how stunning the scenery is every day when hiking the Inca trail. You will spend a lot of time looking down at your feet, to not trip, but remember to look around you and enjoy the moment. We have never felt more in-tune to nature than when we were hiking the Inca trail. Snow-capped mountains, valleys, cloud forest, rain forest – it’s beyond beautiful. Silly us, we did not expect to come across so many Inca ruin sites while hiking the INCA trail. Not only did we see so many, but we were able to explore the ruins. We were also able to learn about each individual site as well as general history about the Incas from our XTreme Tourbulencia guide. There are several campsites along the Inca trail and each one is placed within stunning scenery. Hikers can expect to find their campsite already made and each group having their own designated area. Some campsites offered bathrooms, whereas some had only a tent with a toilet. If you are wanting to shower at the campsite, you must bring your own microfiber towel and you will have only COLD water. We were very fortunate to have amazing meals prepared by XTreme Tourbulencia. Every day you receive a cooked breakfast, lunch and dinner. Lunch always takes place during a mid-break point. The porters set up the tent for lunch and after everyone dines, it’s typically siesta time. Though you are well fed during the hike, it is advised to pack your own snacks. Power bars, trail mix, and beef jerky are great to obtain protein and nutrients for hiking. On the first hiking day, you will come across bathrooms that are available to hikers for one sole. Make sure you bring a lot of coins, toilet paper and hand sanitizer for yourself. After the first day, toilets are mostly found at lunch breaks and campsites. As previously mentioned, there are bathroom stalls at the campsites, but they are not your typical toilet. The bathrooms on the Inca trail/campsites do not have toilet seats, it is only a hole, therefore you must squat. For ladies, this might be the most difficult part of hiking the Inca trail (it was for Christina). It is uncomfortable and not easy, therefore Christina highly recommends a urination device . Lastly, there are no lights in the bathrooms, so a headlamp is also necessary. Though it is not required, tipping the porters and guides is very important. You will see every day how hard they work and make the experience enjoyable for you. Honestly, without the porters and guides, hiking the Inca trail would not be possible. They truly make your dream of hiking to Machu Picchu come true. So we advise you to tip them. Each tour company may have a guideline for you, but here is what we recommend. As a group, each porter should receive 80 soles, the cook 100 soles, and your guide 200 soles. Tipping typically happens on your last night (3rd day), so find time to get together with your group and coordinate what everyone wishes to pitch in. We will be completely honest with everyone, we were a little disappointed with Machu Picchu. Do not get us wrong, it is a magnificent site to see and should not be missed during your lifetime. However, after hiking for three and a half days, being “one” with nature and exploring Inca ruins on your own, Machu Picchu was a bit of a let down (further discussed below). When you arrive at Sun Gate, it is a hit or a miss. Only because you cannot control or predict what the weather will look like. We experienced a huge cloud hanging over Machu Picchu and could not see a thing. It is still a stunning and rewarding site to see, but after you wait for 15 minutes, if your guide sees that it’s not going to change, then you will most likely move on. Then you arrive at Machu Picchu. Hooray, we did it! So why is it a little bit of a disappointment? Because you have to share your hard earned moment with two thousand other people. For three days all we saw were 20-50 hikers (plus porters and guides). Then on our last day, we had to wake up at 3am to start our final ascent. When we finally arrived at Machu Picchu, it was CROWDED!!! Everything is rushed, so we could barely enjoy and soak in the moment. We have to wait for a hundred people to take the “epic photo” and the entire Inca experience gets lost. In our opinion, we believe the Peruvian government should regulate different times for the hikers vs. the tourists. They already regulate the number of hikers on the Inca trail and tourists at Machu Picchu. So, why can they not regulate the first hour to the hikers? It makes complete sense to us and I am sure every person who has hiked the Inca trail would agree with us. We do not want to take away the moment for anyone, but to make you aware of what to expect. After you take photos at the iconic spot, your guide will take you inside Machu Picchu. They will have all the documents you need, you just need to have your passport. Before you enter Machu Picchu, there is a locker just outside the entrance for hikers to store their bags which costs five soles. There is also a bathroom for two soles and it is advised to go because there are no bathrooms inside Machu Picchu. This is also a full bathroom with everything you have missed out on for the last 3 days. Take advantage of it. You are also only allowed to re-enter Machu Picchu once, so plan everything accordingly. The best time to visit Machu Picchu is early in the morning, the earlier the better. Luckily because of hiking the Inca trail, we did arrive early into Machu Picchu. Our guided tour with XTreme Tourbulencia lasted around two hours. During this time, we explored the ancient ruins and were completely impressed with the engineering capabilities of the Incas. Every tour will take you entirely through Machu Picchu, which is only a one-way route. After your tour, you may re-enter Machu Picchu one last time and enjoy it at your own pace. You can explore the ruins again or just sit on the lawn and relax. If you are up to hiking once more, you can also hike Waynapicchu for stunning views of looking down at Machu Picchu. This hike must be prearranged when booking the Inca trail. I hope this has been a helpful guide to everything you need to know for hiking the Inca Trail. It is definitely a once in a lifetime experience that you will never forget! If you need help booking the Inca trail, I am more than happy to assist you. 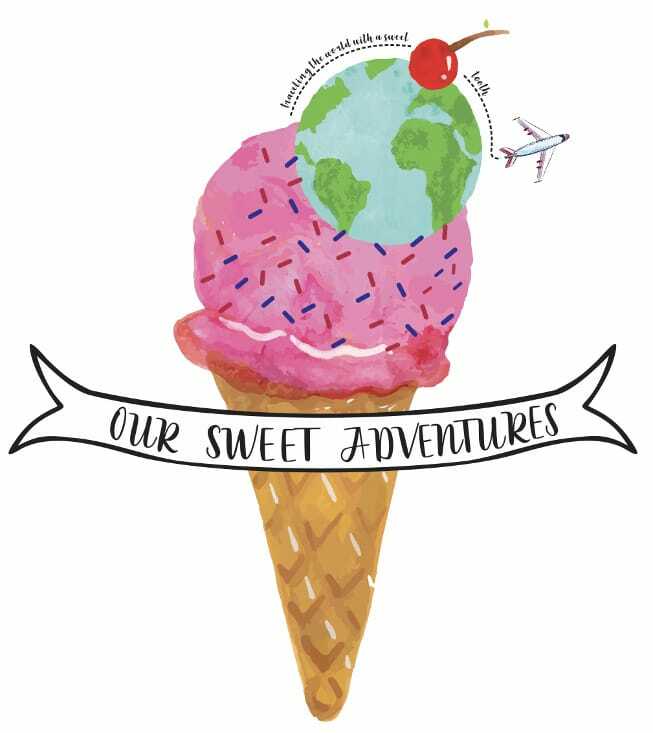 You may reach my travel agency contact information here or email me at oursweetadventures2016@gmail.com. Looking for more posts on Peru? Check out these! South America is on our family’s short list of continents to explore, and Peru is high on the list. Your outline of hiking the Inca Trail is super helpful, and really inspiring! Such a magnificent view and the ruins are fascinating. Sad that you confirmed my suspicion that Machu Picchu is packed with tourists. Ya the whole journey to Machu Picchu was fantastic but the ruins themselves were way overcrowded. This is great! M.P. is definitely on the agenda in the near future and this guide is practically perfect. I’ll definitely be checking back here for any info or questions that I have! Thank you for your nice comments. Everyone should go to Machu Picchu in their lifetime. I know the feeling of coming back after hiking and finding a well laid out tent is just bliss. Food looks yummy, after the trek if one gets such delicious food then that’s the cherry on the top. Btw, I love pineapple cake. Coming back to the campsite and seeing everything set up was such a relief every night. The whole trek was amazing and our team did an amazing job cooking every night. Thank you so much for writing this detailed post! It’s so helpful. I’m planning to hike the Inca Trail next year, and will definitely be using this post as a reference! Let us know if you have any questions. It is an amazing experience you will never forget. I greatly appreciate this article and the information provided. Great post! Sooooo much useful details in this post!! As much as I want to enjoy the views of many big hikes, I am not an extreme hiker. The Inca trail is the one extreme hike I do want to do though. We are shooting for next year or 2020 so your post came in perfectly. You should definitely do the trail during your lifetime. It is an incredible experience. We thought we were going to eat snacks the entire time as well but they really surprised us with the quality of the food. Macchu Pichu is one of those things that is firmly on my bucketlist – and I will be hiking the Inca trail first too. It will probably near kill me, but I look forward to the challenge. You have some important points to think of when choosing a tour group, and I will definitely be keeping them in mind when I eventually get to do my own trek. We feel most of the hike is mental. Yes we did train for the hike to an extend but it is mainly about telling yourself that you can do it over and over. I love how detailed this guide is. Thank you for answering my questions before I even ask them. Happy to help. Please let us know if you have any other questions. What a great comprehensive guide! You covered so much. This is going to be incredibly useful when I go one day! You have to do this hike sometime in your life. It will be worth it. Let us know if you have any questions. Great guide that is very helpful. Unfortunately I went to Peru on a last minute cheap ticket and the inca trail was already fully booked. I did see machu pichu of course and I agree it is too crowded. Oh ya we heard you have to book almost a year ahead of time to be able to do the trail. Maybe you can go back sometime and hike it. I totally need to go to Machu Picchu still! Your photos are amazing and the hike looks like it’s physically taxing but fun. I loved that you were so thorough because we’re totally thinking about doing this too! The stairs were difficult for sure. Its more mental than anything. Just keep telling yourself to keep going. You can do it! This is a wonderfully detailed post on how to prepare for hiking the Inca Trail! I know I would need a lot of training beforehand, it does not sound easy to hike about 8-10km on an average every day, for 4 days. But it sounds like a challenge I’d like to take up! Thank you for recommending how to train- with cardio and Stairmaster. Also, ‘mind over matter’, of course because I can imagine it does get tough at times and one might want to give up! Also, you’ve recommended a company that not only seems reasonable but fitting in every other way- service, their treatment of the porters, the campsites and the food. The weather being unpredictable cannot be helpful in a challenging hike like this! I’d have to go between June – August to make the best of it, as you recommend. Thank you for such a detailed and handy guide! It was an incredible journey that we feel anyone can accomplish. You do need to be mentally tough to finish the hike because there are some very difficult days on the hike. Our trek team was amazing. They were all very helpful and we couldn’t have done it without them. The food they prepared every day was absolutely amazing. If we had to go again we would go during the same time frame as well. I can understand your feeling when after a hard trek you find the iconic place full of tourists! I agree with our suggestion that there should be a different time for hikers and tourists. In that way, all can enjoy the moment. Loved your description of the Inca trail. It is one of my epic bucket list project to hike the Inca Trail. Thank you for such a detailed and comprehensive post. We strongly feel they should regulate when people should be able to view the ruins. It really felt overcrowded. Thank you for your nice words. You should definitely hike the trail soon. Thank you for the blog, I really appreciate the info. I ´m planning to do a trip to Machu Picchu next year and your publication help me solve some questions. Please continue writing about your trips, your experiences and opinion about the site is very important for us to get info and organize our trip. Thanks again! We hope we were able to answer a lot of your questions. If you have any additional questions please feel free to reach out. We wrote several other posts about our experiences. Check them out when you have time. We hope our post is able to help people better prepare for this incredible hike. First of all, your logo is fabulous!